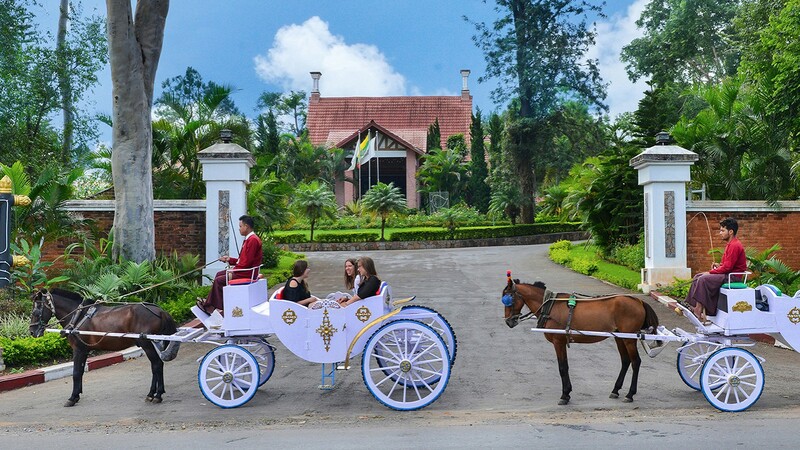 Located in the heart of Myanmar, 67 km east of Mandalay, in the highlands of the Mandalay Mountains, the city has a cool climate and was used as a summer residence by the British until the Second World War. 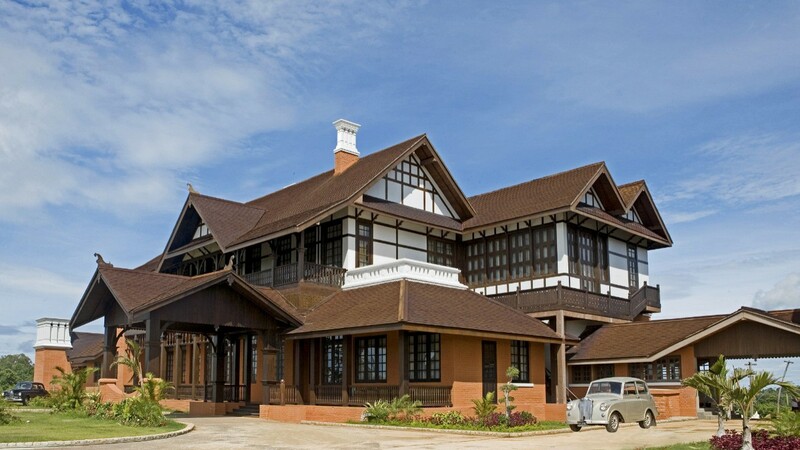 At an altitude of 1070 meters, the Aureum Palace Hotel & Resort, Pyin Oo Lwin is not only a hotel with garden bungalows that offer all the famous Aureum comfort, but also the completely restored residence of the former British governor of Burma. Where once officers, lords, and ladies sought refuge from the summer heat, conferences, weddings, and business meetings take place today in a nostalgic colonial flair. Even the journey from the busy town of Mandalay is worth the visit. There is only one direction while on the serpents to Pyin Oo Lwin: upwards. 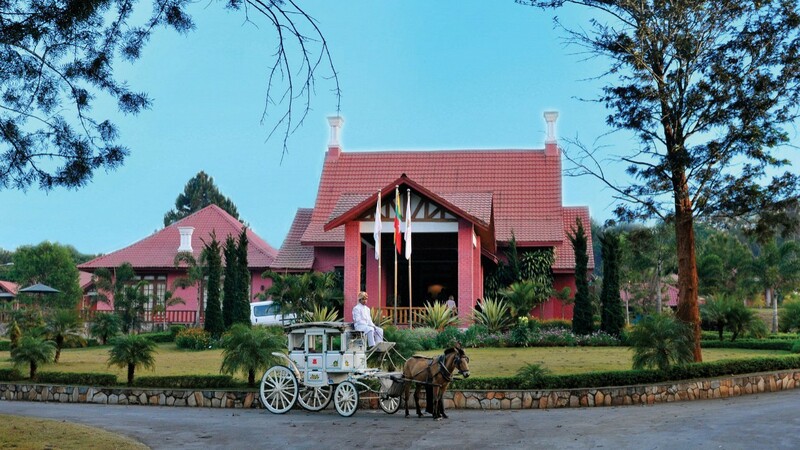 Enjoy the elegance and splendor of the past and traditional luxury in a unique colonial style where you can experience the ambiance of a century gone while enjoying the modern facilities of luxurious bungalows. With a rich décor influenced by our vibrant surroundings, these bungalows are furnished with teak furnishings throughout to provide a sense of place.